Following the introduction of the redesigned light-duty Ram 1500 in early 2018, the Ram HD range entered the new generation recently with the similar recipe used as on the half-ton version. The new generation heavy-duty Rams have everything enlarged compared to the brand’s best-seller in order to lift the working and towing capability to the new levels and the new iteration of Ram HD set also some records while models are also techier and plushier than ever. 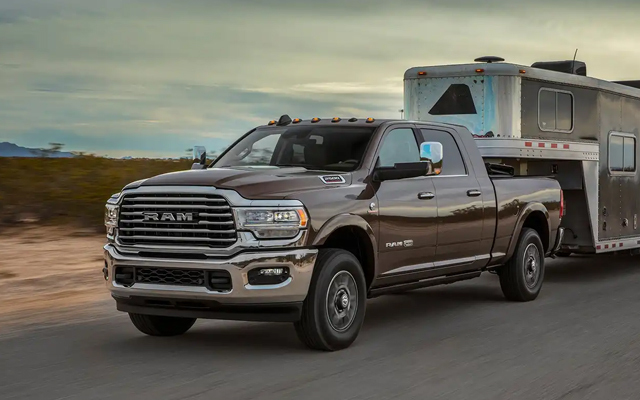 The three-quarter-ton 2020 Ram 2500 is the choice for the buyers which need the next-level capability over the light-duty Ram 1500 while the larger Ram 3500 provides even more extreme towing potential. The Ram 2500 will come with the V-8 gas engine and lower-output version of the Cummins inline-6 with towing capability close to 20, 000 pounds. The truck will also deliver the range of style and equipment groups providing everything from the work-oriented version over the off-road Power Wagon to the big-buck Limited trim. Ram had the modern trends in the mind while was designing the new generation, heavy-duty trucks and with the usage of the mixed-material strategy the new trucks have greater capability and reduced weight. The chassis of the Ram HD consist of 98% high-strength steel for better structural rigidity and performance while the lightweight materials in the hood, frame and powertrain helped also in the weight reduction for more than 140 pounds. The 2020 Ram 2500 will also have the fresh, new look with more streamlined and elegant lines than the previous generation version. The crosshair style grille is also abandoned and the new truck will offer six, distinctive grille designs. The new grille combined with the new headlights with available full-LEDs defines the front end style while the front bumper design fits also to the more elegant look. The sculpted hood and rounded fenders add to truck’s ruggedness while more chrome and additional styling details will boost the appearance of the upper-grade versions. Inside the cabin, the Ram 2500 applies the same design theme as the light-duty Ram 1500 with some unique tweaks for the larger proportions. The model has improved the sophistication and tech usage compared to the previous generation and offers also some class-leading features. There will be also plenty of space and storage compartments in the new trucks and up to 43.3 inches of the legroom in the Mega Cab models. The high comfort and tech features will also make the work easier and the latest safety equipment will also be on the equipment list. The Ram 2500 arrives with the three cab styles including the regular two-door style and two, four-door cabs. The cargo bed versions include 8-foot and 6,4-foot options with the Regular Cab available exclusively with the long bed and the short option on the Mega Cab only. In the six trim options, the Ram 2500 will provide different comfort and tech levels. The truck will offer 5.0-, 8.4-inch and the class largest 12.0-inch touchscreens. Available will also be up to 17 speakers, full leather seats, real wood trim, active noise reduction, heated and ventilated seats but also the lower-cost upholstery and textures. On most versions, the truck will offer the surround view cameras and the safety equipment like the adaptive cruise control, forward collision warning with automatic emergency braking, and blind spot monitories will also be available. The truck will also provide upgrades such as the Bilstein Shocks, a Borg-Warner part-time transfer case, load-leveling rear air suspension, etc. The 2020 Ram 2500 will use two engine and transmission options with the rear- and all-wheel drive available on most versions. 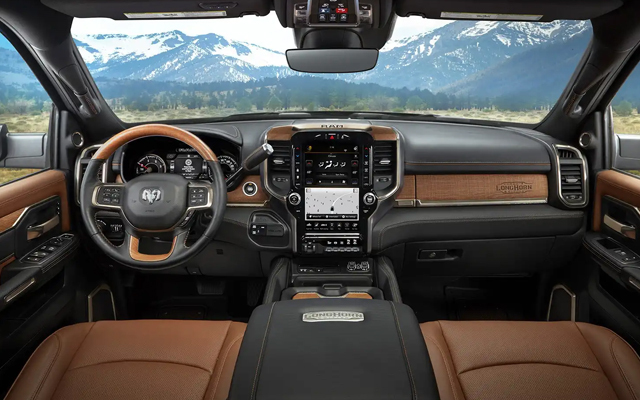 The gas-powered Ram 2500 will have a 6.4-liter V-8 engine under the hood coupled with the 8-speed automatic transmission. The power and torque delivery will be 410 hp and 429 lb-ft respectively. The grater towing will be possible with the 6.7-liter Cummins inline-6 engine. The truckmaker delivers this unit in two versions and the Ram 2500 gets 370 hp and torque of 850 lb-ft. The more potent version in the Ram 3500 will provide 400 hp and torque up to 1000 lb-ft. This engine will come in the combination with the 6-speed automatic transmission. With the appropriate equipment, the Ram 2500 will tow up to 19, 780 pounds. The 2020 Ram 2500 will go on sale in 2020. The price of the model will appear closer to the launch date. The base versions should start in mid-30, 000s.